Safety of employee should be of prime importance to bakery plant owners and plant managers . Bakeries do report accidents and safety related incidents in factories .Its mandatory in many countries to provide industrial safety shoes to its worker who are working in risk prone areas . Workers performing roles such as plant maintenance workers , plumbers , electrician ,operators and contract labours performing loading and unloading of heavy loads or equipments.Most common incidents are electric shocks or slippages in bakeries .Plant managers should ensure that workers involved in above mentioned activities are provided safety shoes in regular intervals . ISO -9000 , ISO- 14000 , OSHA and GMPS have some or the other SOP s on workers safety . 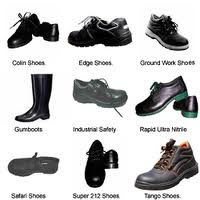 OSHA defines safety shoes in its personal protectives equipments as shoes having heat resistant soles and impact resistant toes .Others with metallic insole and providing workers from electrical shocks. Electrical shocks ( Electricians ). Industrial safety shoes are normally made up good quality leather with steel toe cap in front to save foots from heavy impact and with Pu soles International followed by these shoe manufacturers is European standards for safety shoes BS EN ISO 20345 :2004/A12007. Safety shoes should be comfortable , durable and light weight .Options are available for workers to choose high ankle or low ankle safety shoes . Plant managers should get safety shoes from approved vendors from which have been certified by authorities . Safety shoes can help in bringing accidents rate in bakeries to minimum levels . This is good to know that you are offering such a valuable information about safety shoes, which are OSHA recommended, and I really find this stuff cool, being a safety manager in my firm I'll recommend this site for our annual stock purchase. Thanks for posting surely you saved my time. These shoes are great until they start picking up dough, batter and finished goods. They become worse than shoes with no tread at all! These shoes are great until they start picking up all dough, batter and finished goods. They become worse than shoes with no tread at all!